Hugh MacPherson is Professor of Acupuncture Research at the Department of Health Sciences, University of York, Chair of Trustees at the Northern College of Acupuncture, and Clinical Director at the York Clinic for Integrated Healthcare. Hugh trained as a practitioner of acupuncture and Chinese herbal medicine in the early 1980’s. He subsequently founded the Northern College of Acupuncture, based in York, and steered the College towards achieving university validation in 1995, the first acupuncture degree course in the UK. Hugh continues his involvement with the Northern College of Acupuncture, currently as Chair of Trustees. Hugh also retains his clinical practice, working as the Clinical Director at the York Clinic for Integrated Healthcare where he works as an acupuncturist. 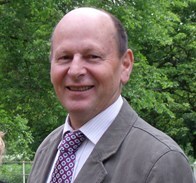 As a result of his interest in research, Hugh set up the Foundation for Research into Traditional Chinese Medicine in 1993 and subsequently joined the Department of Health Sciences, University of York, as a Senior Research Fellow in 2003. He has been supported by grants of around £3 million in total over the last 15 years, including a Career Scientist Award, a Research for Patient Benefit Grant and by a Programme Grant for Applied Research, all from UK’s National Institute for Health Research, and a grant from Arthritis Research UK. Hugh's recent research has focused on conducting clinical trials and systematic reviews to evaluate the effectiveness and cost-effectiveness of acupuncture for a variety of conditions. He has also conducted surveys to map utilisation and establish the relative safety of acupuncture. His neuroimaging studies have explored physiological processes associated with acupuncture. For a full list of his projects, see here, and he has published over 120 peer-reviewed scientific papers. Hugh is the lead editor of the books, "Acupuncture in Practice" and “Acupuncture research: strategies for building an evidence base” and, with Volker Scheid, a co-editor of the book, “The integration of East Asian medicine into contemporary healthcare”, all published by Elsevier.